For over 30 years, film fanatics, aspiring film makers and even simpletons like you and me have descended on a quaint mountain town of Utah each winter to immerse themselves in all things Sundance. What began as the Utah/US Film Festival in 1978, the annual event was officially renamed the Sundance Film Festival in 1991, after Robert Redford’s famous role, The Sundance Kid. Some are drawn to the storytelling, some by the celebrities and some don’t really have a specific reason except to enjoy the festivities and to check off another item from their bucket list. 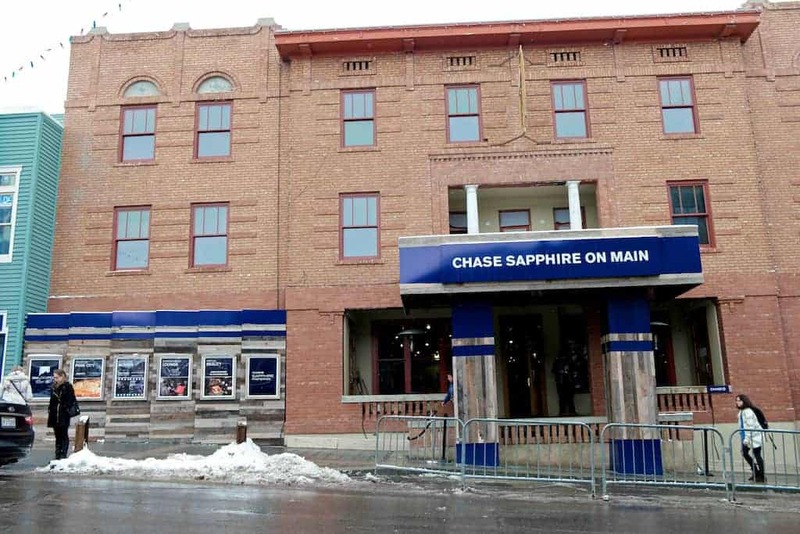 This year’s festival took place in Park City from January 21-31, 2016, and I was lucky enough to partner with Chase Sapphire Preferred to attend for my very first Sundance Film Festival experience. To be honest, I didn’t really know very much about the festival prior to going except that it was a dream of many to attend. I had imagined it to be a very exclusive and hard to get into type of event, you know, the kind where you had to “know someone” or had to promise your next born’s name in order to get in. I was wrong. So very wrong! The Sundance Film Festival is actually quite the opposite; basically a big public celebration where everyone is invited and there’s so much to do and see that hidden gems can easily be missed. I spent 4 days there as a guest of Chase Sapphire Preferred, and I feel like I only scratched the surface of activities available to me. 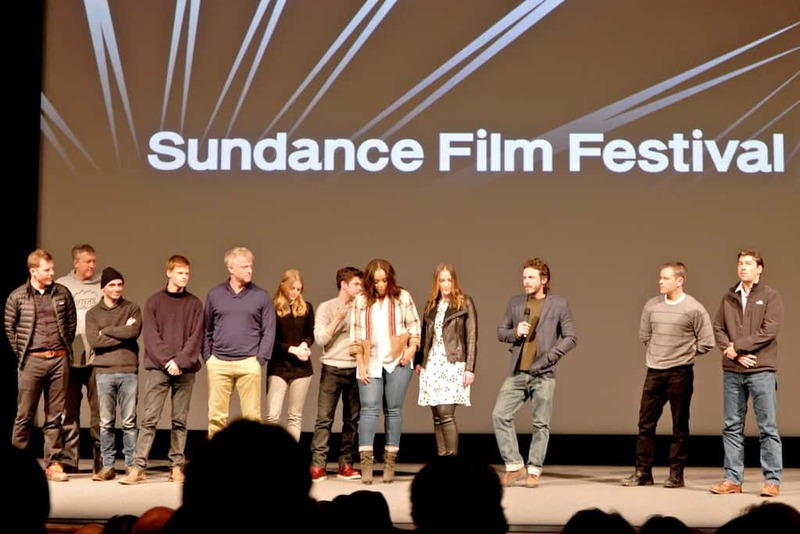 So as a Sundance Newbie, here are 12 Do’s and Don’ts to help you get the most out of your first Sundance Film Festival Experience. Coming from Los Angeles where convenient public transportation is basically a mythical unicorn, I was pleasantly surprised by the free options for transportation during the festival. The bus transit center is located right smack in the middle of town and you can catch a ride just about anywhere in the surrounding area for free – just hop on the bus going in your direction and pull the rip cord when you’d like to be let off. I found this to be the most reliable means of transportation as the streets are a veritable disaster so Taxis and Uber can get costly and time consuming. 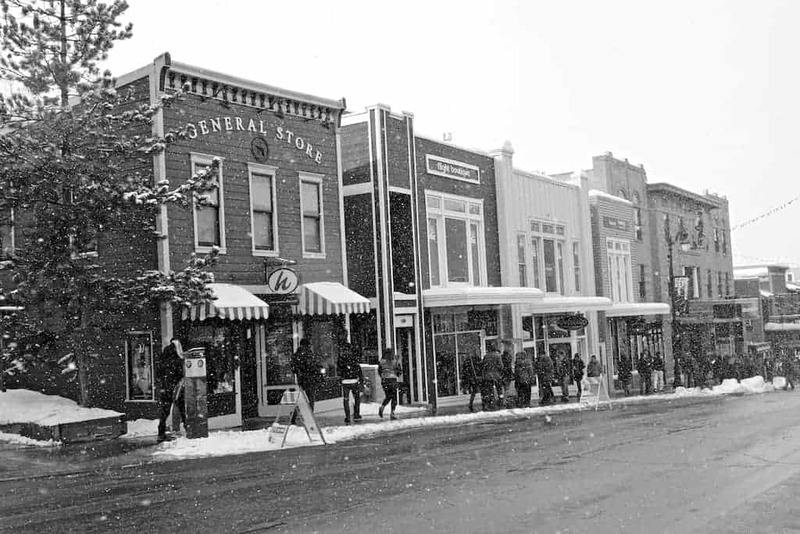 Nestled in between the Sundance Film Festival activations are many of the regular shops on Main. I incorrectly assumed that shopping would be pricey but was happy to discover it actually wasn’t. There is a nice mix of high end boutique shops along with touristy souvenirs and local unique finds. I found a bunch of cute clothing stores at very reasonable prices so don’t be afraid to step into a few that catch your eye. One of my favorite parts of exploring Main Street was stopping into the sponsor houses. Usually something else during the year, various buildings and shops are temporarily taken over and transformed into staging houses for a variety of brands. While some require an invitation for entrance, many are open to the public and offer activities, concessions and even swag. The Chase Sapphire on Main house acted as my home base for my 4 days of exploration. I loved that I had a warm place to do everything from start my morning with a free espresso, lounge and kick my tired feet up, indulge in some wine and chocolate, recharge my phone, grab a Taste of Park City and rehydrate for my next stop. After exploring Main Street for the day, a great spot to relax and unwind before your evening gets wild is at the luxury St. Regis Deer Valley resort. Take a free ride up the funky funicular to the bar, grab a seat by the fireplace and order yourself a pricey drink to enjoy the sunset with – it’ll be worth every penny. Unfortunately, this isn’t a very well kept secret so to avoid standing in a very long line, visit on a week night. If you’ve always dreamed of sitting in a living room with your favorite director and getting the chance to ask him about his Sundance Film Festival submission then you should definitely make it a point to stop by the Indiewire in Conversation panels at Chase Sapphire on Main. Open to the public, these incredible Q&A sessions are hosted in an intimate setting where the actors, directors and writers share behind the scenes stories and commentary on their work. While the session starts out hosted, they give a few minutes at the end of each panel to allow for members of the audience to ask questions too. I attended a few of the sessions and they were just incredible! I highly recommend the experience and suggest that you arrive about an hour early to get a good spot in line. While I was surprised at how much is open to the public at Sundance, a lot of the really super cool stuff is, of course, by invite only; like attending a private cast or premiere party and mingling with the actors and film makers over cocktails and hors d’oeuvres. Can you imagine “bumping” into your favorite director and casually telling him how much you loved his Sundance film you saw earlier that day? Of course he’d respond with how lovely you looked in your fur lined boots and introduce you to his producer buddies and you’d all chat and laugh into the wee hours of the morning. Well, this fantasy actually isn’t too far fetched if you have a Chase Sapphire Preferred credit card. 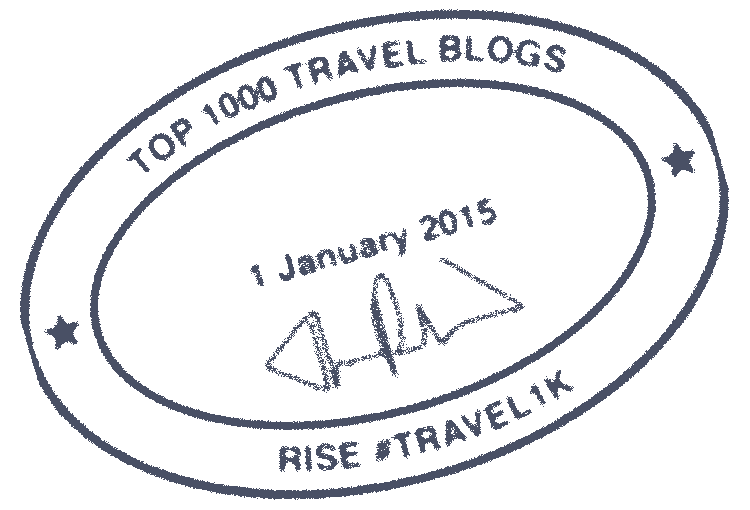 Just carry it in your wallet and show it like a boss to gain insider access to VIP events like a private cast attended premiere party (this year it was for Manchester by the Sea), priority box office, an exclusive cardmember lounge and a dining concierge. Because you can’t say you’ve gone to Sundance and not seen a movie there! You can get advance tickets online, or in person at the box office each morning. If you missed grabbing them before your arrival, you can also waitlist via the Sundance App for a chance to get in. Rumor has it that the box office sometimes releases more tickets for sold out screening each morning, so it may be worth it to stand in line. TIP: Definitely stay after the credits roll for any premieres, because you may be surprised with a special cast Q & A session like we did after the screening of Manchester by the Sea. You’ll regret not making dinner reservations in advance, this, I promise you. Lines at restaurants on Main Street, even at 10:00pm will be out the door. If you get hangry like I do, you’ll definitely want to carry snacks with you during the day, make pit stops into the Chase Sapphire on Main house and if you’re a Chase Sapphire Preferred cardholder, take advantage of the Bon Appétit Dining Concierge in the VIP lounge are of the house. This nifty service will help you secure hard-to-get dinner reservations that you would not otherwise be able to book yourself. 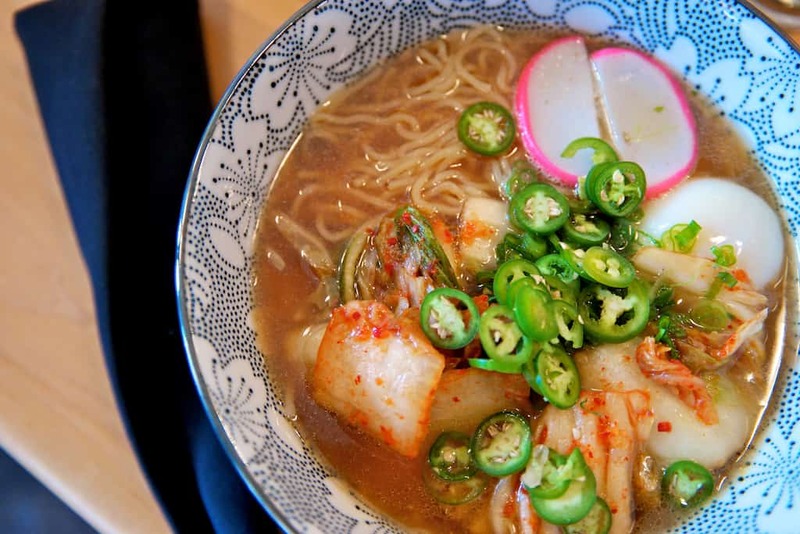 My favorite meal was this Kimchi Ramen from Yuki Yama…nomnomnom. Bonus: Cardholders also earn 2X the points on dining purchases. One of the best things about the Sundance Film Festival is that it’s a melting pot of people. You never know who you’ll sit next to at lunch or see crossing the street at the next light. If you’re looking for celebrities, just keep your eyes up and your phone in your pocket. Tip: We saw a ton of actors just stopping in to say hi or to enjoy the concessions at the Chase Sapphire on Main house, I’m guessing due to all the activations they do throughout the festival. It was actually where we had the most celebrity sightings! Lodging within walking distance to Main Street in Park City come at a premium and may be cost prohibitive to the majority of us that want to attend. Good news is there are lots of options to choose from that are within 5-15 mins of the action. I stayed at the beautiful Silver Baron Lodge in Deer Valley, a premium location if you’re also considering skiing during your stay. They offer a hotel shuttle and even free on-demand car service to get to locations other than Main Street, like Eccles Theater. TIP: Chase Sapphire Preferred card holders earn 2X the points on travel related purchases so be sure to use the card when booking your reservation. 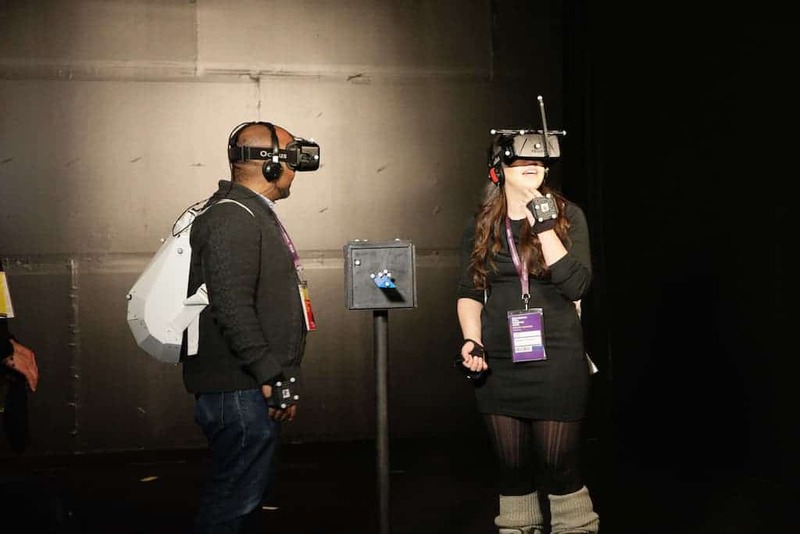 As I wandered around town and peeked into the different activations, I was surprised at the variety of brands that had a presence at the Sundance Film Festival. This year one of my favorite finds was tucked away up on the third floor of a building and offered incredible Samsung powered virtual reality experiences. From interactive activities to individual immersive stories, the New Frontier Exhibitions were nothing short of mind blowing. As one would expect, they were hugely popular but luckily offered a convenient same day signup and paging program. 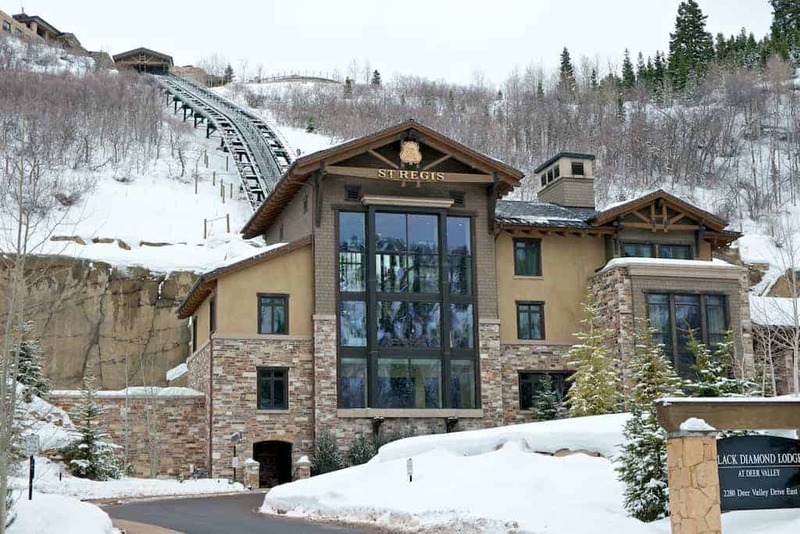 Remember how I said I stayed in Deer Valley at the Silver Baron Lodge? Well every day I’d go past the slopes at Deer Valley Resort and notice that they were pretty much a wasteland. While everyone is enjoying the festivities down on Main Street, the mountain was pretty much empty. With all the fresh pow pow each night, I could only imagine that this would be my husband’s dream – shredding more gnar in 4 hours than he would normally get to do in 2 days. So if you’re a skier, definitely bring your gear. Take a few runs in the early morning and head down to Main Street at lunch. Don’t worry, the festival is just waking up and you’ll have plenty to do and see after your epic bluebird morning! 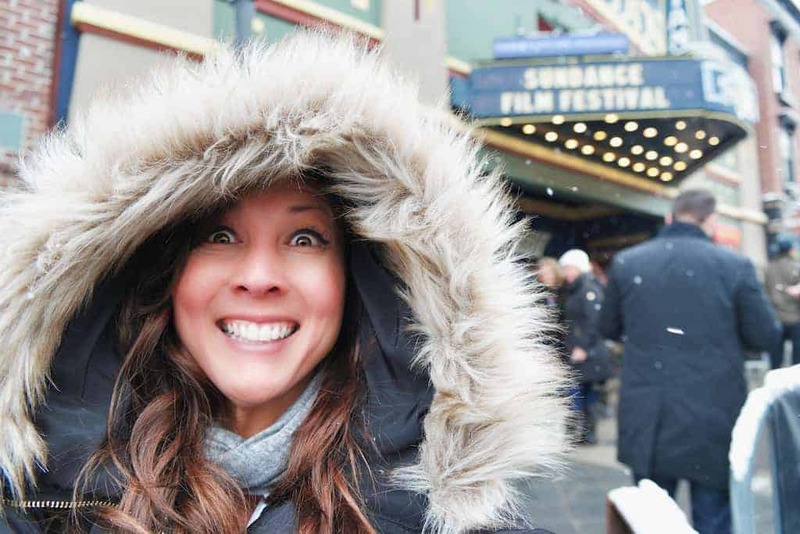 I’m so thankful to Chase Sapphire Preferred for my ‪#‎SapphireonLocation‬ experience at Sundance this year. They really are a killer brand that I’m proud to stand behind and partner with. I never even thought about visiting Sundance – but now I really want to. Thanks for all of the great tips, I’ll be saving this post for “one day”! I loved following your photos on social media. It looks like such a fun idea. I will probably never make it to Sundance but it looks like it would be a blast. This looks like such an amazing trip! I would love to do this some day and this made me even more excited about it! Sounds like an adventure I’d love to start. Great guide for beginners, I hope to check everything out one day. Sundance is definitely on my bucket list! I love Deer Valley and have always wanted to make the trip. It seems like such a cool experience!